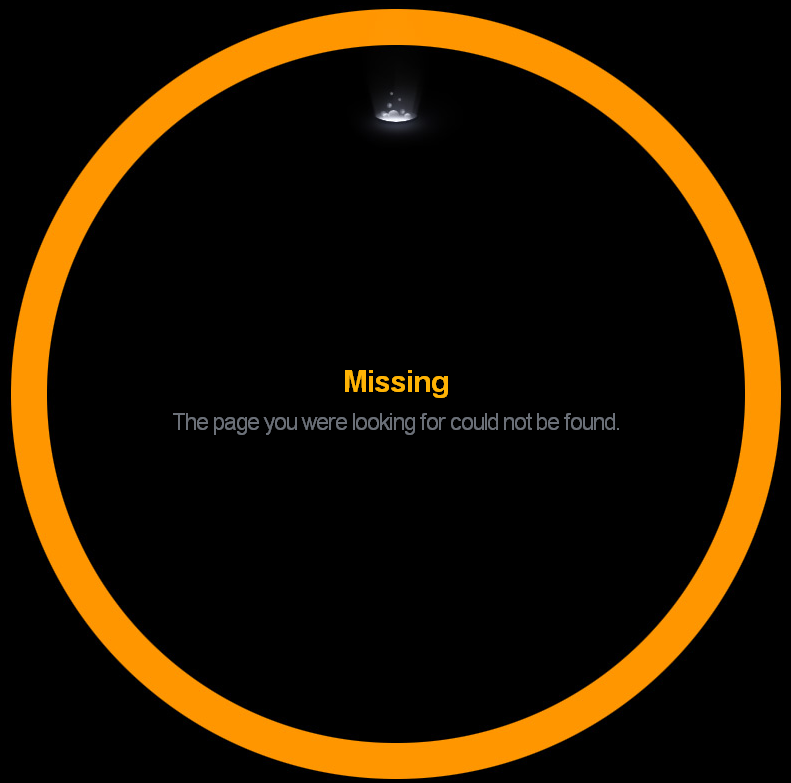 Error 404 pages – otherwise known as page missing or page not found – are an inevitable part of web design and search engine optimisation. 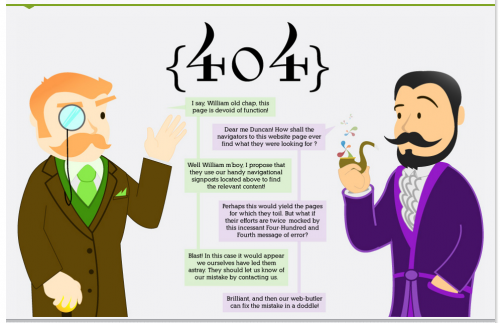 Savvy marketers and designers know that investing a little extra time in designing and writing content for error 404 pages can pay dividends in terms of engaging users and showing off a bit of brand personality. 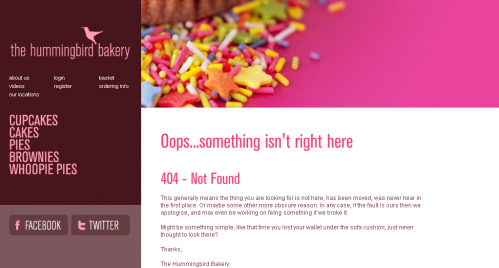 We’ve looked at lots of error 404’s and here’s our list of the best 40 we could find, scored in no particular order on the basis of either good design, good copy, humour, originality, customer engagement or a combination of all of these. 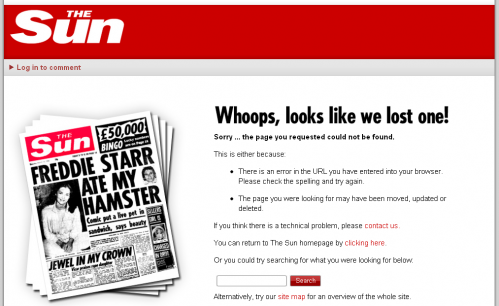 It’s not hard to work out why we thought this error 404 page was worthy of a mention. 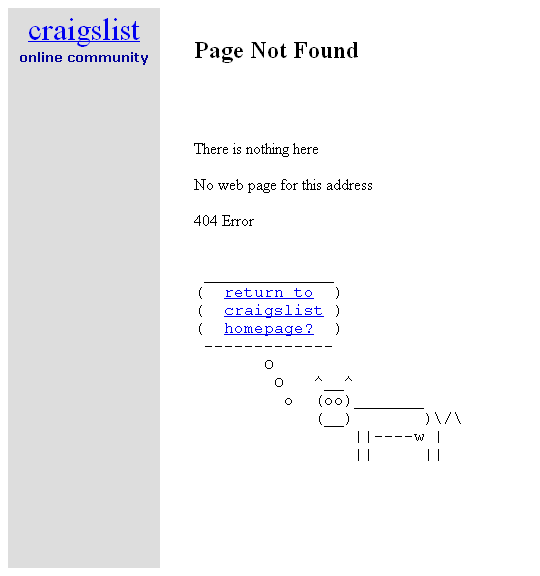 The question is, which came first, this page or Lady Gaga’s notorious meat dress? Classy copy from The Sun Online, as you’d expect from the UK’s favourite tabloid! 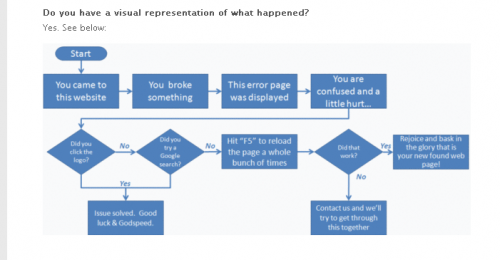 We looked at the error 404 pages from all of the major UK political parties, and the SNP won hand’s down for being completely random! We loved the copy on The Onion’s error 404 page not to mention the accompanying photo. 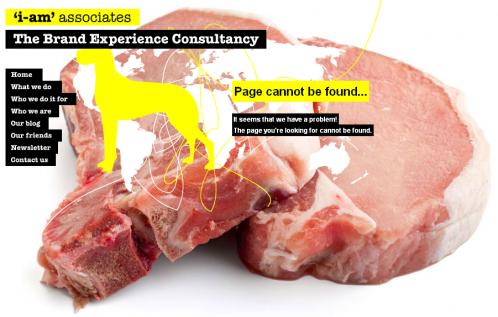 This page isn’t funky, but it’s exactly what you’d expect from Jakob Nielsen. Simple. Clear. Concise. 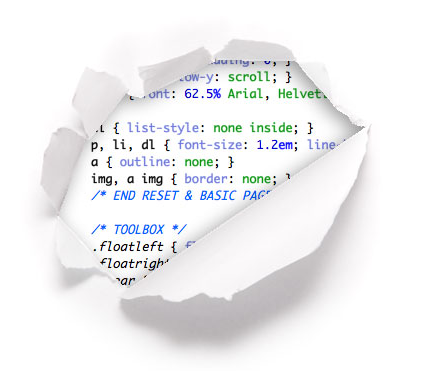 And of course usable. We liked Pattern Tap’s silly error 404 page. Who is that man? 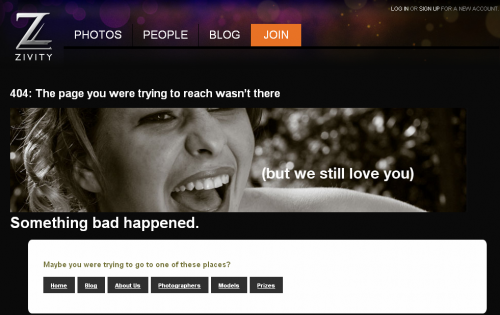 Zivity, the network of photographers providing a striking error 404 page. Original topsy-turvy error 404 page from iContact. 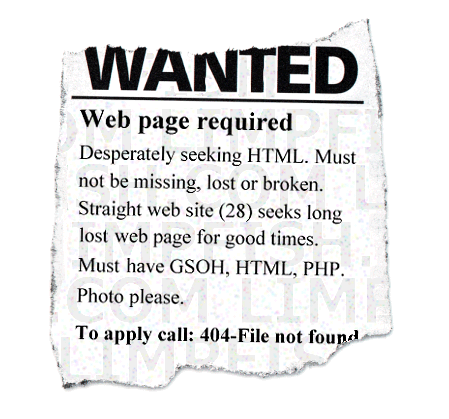 Let’s hope their emails don’t come out that way! 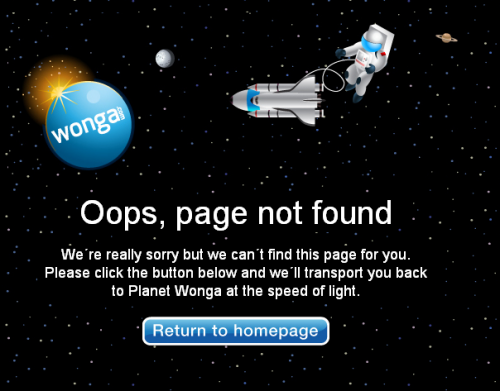 The rather off-brand error 404 page from Wonga.com gets our vote for originality. 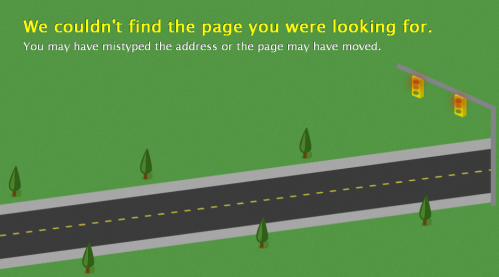 We chose WhipCar’s error 404 page because it was very on-brand, helpful and cute. Round of applause to the Hilton. 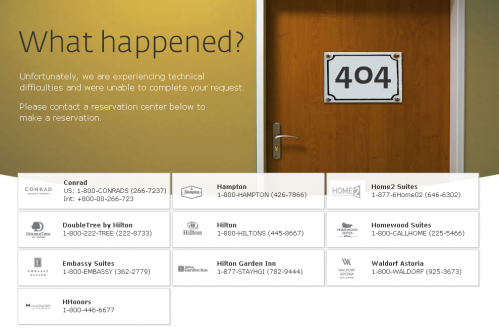 After much searching around hotel websites, at last we found an original error 404 page. Eurostar doesn’t win awards for design, but the copy made us chuckle – a bit. 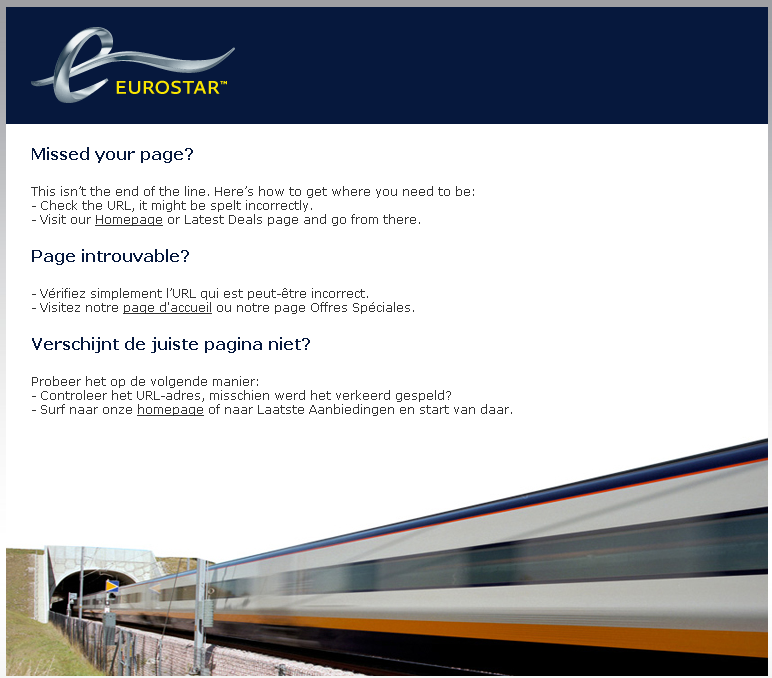 We didn’t like this website – sorry! But the error 404 page caught our attention. Nice. 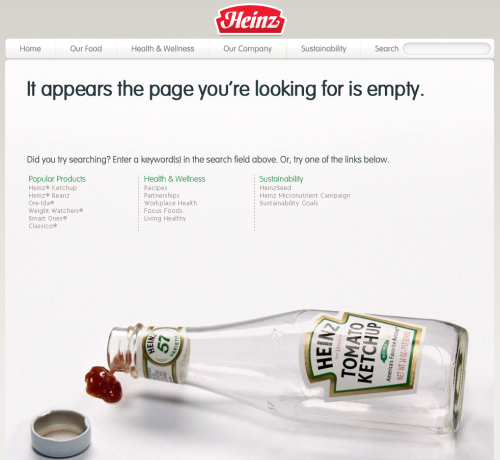 Use of the iconic Heinz tomato ketchup bottle. Love it! Clever error 404 page design from CSS Tricks. 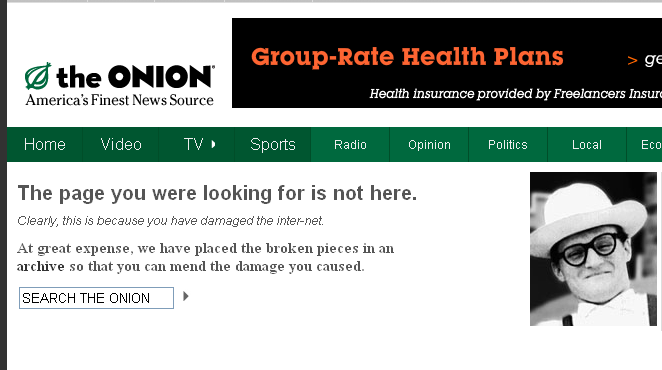 No headline or links, but given their target audience, that really doesn’t matter. No awards for originality here, but we liked this for an honest error 404 page. 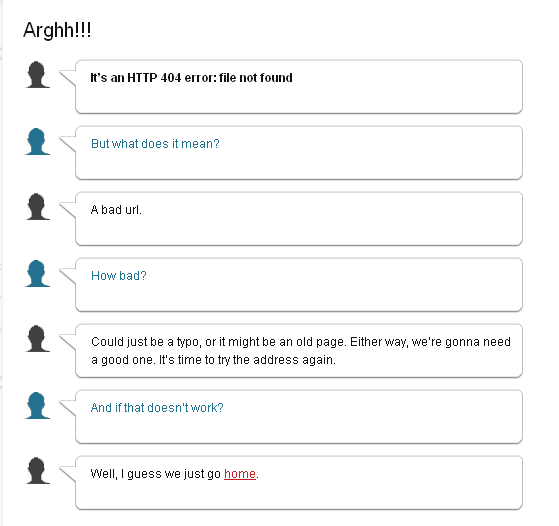 OK, so we liked this error 404 page from Nexus. That royalty free goldfish looks familiar! Sweets! Did someone say sweets? 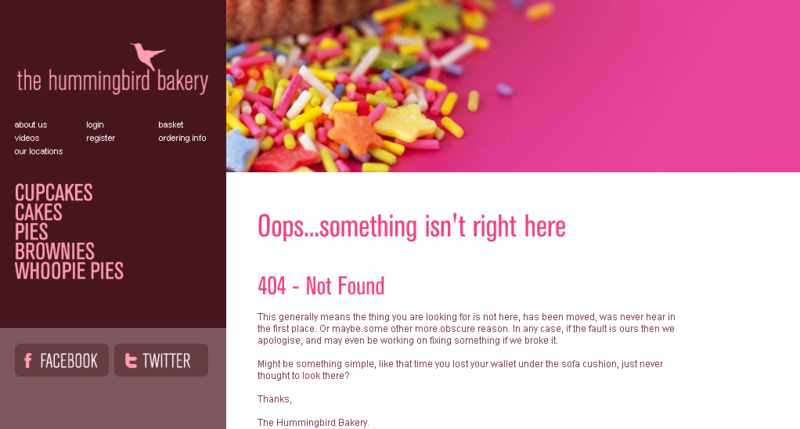 This error 404 page from the yummy Hummingbird Bakery whet our appetites. This is just odd which is why the error 404 page from bitly gets our thumbs up. 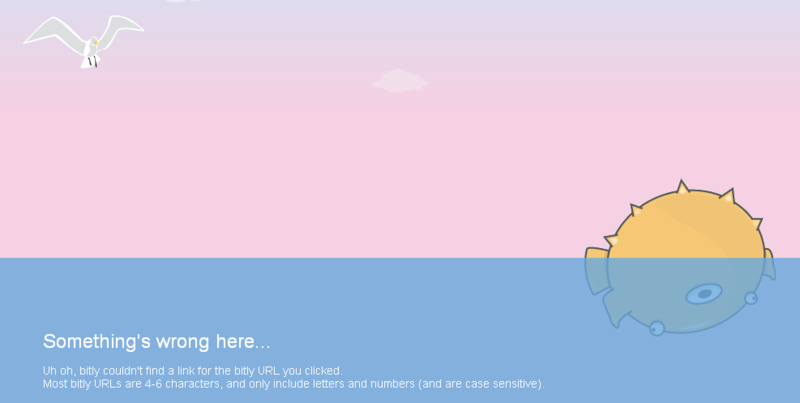 Lovely copy and design from Limpfish. And it certainly does have a GSOH. It was the “go back, friend, go back!” that did it for us. 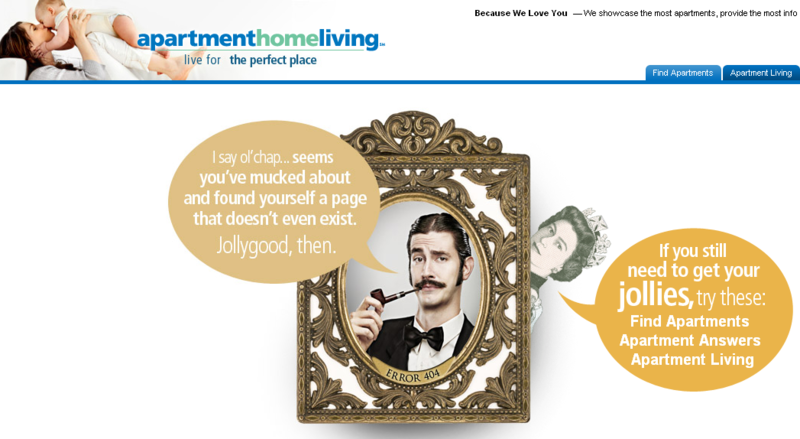 Well done Underscore. iStockphoto was the fifth image library we tested (yes we’re that exciting) and came up with the most original error 404 page from its competitors. Google. Plain and simple. 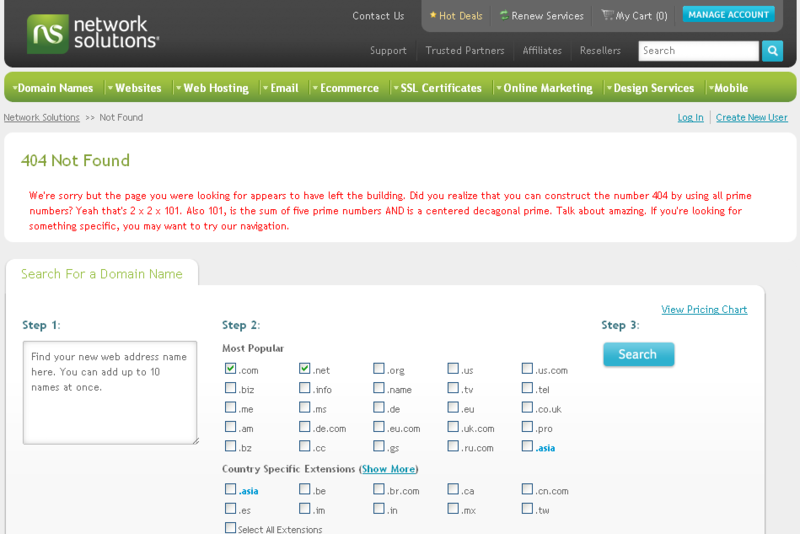 Spot the URL we typed in. We’re still trying to work out why there’s the silhouette of a sheep in this error 404 page. Original concept from Playstation Games. We like. 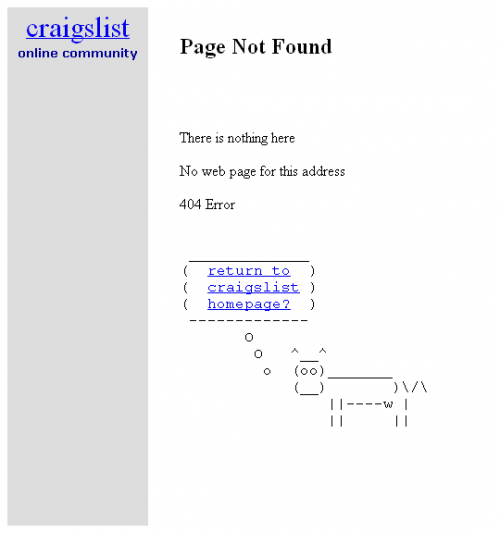 A very craiglist error 404. Good use of old school ASCII art. 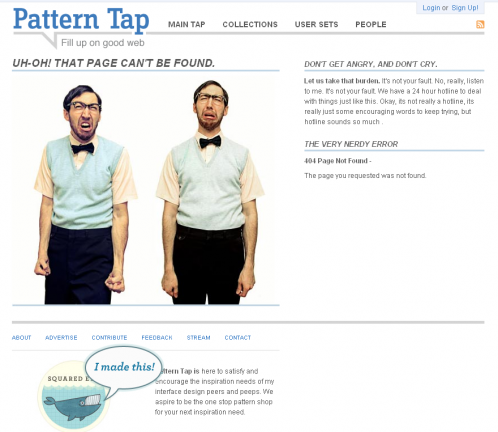 One of the more original designs we found. Hat’s off to Newspond. 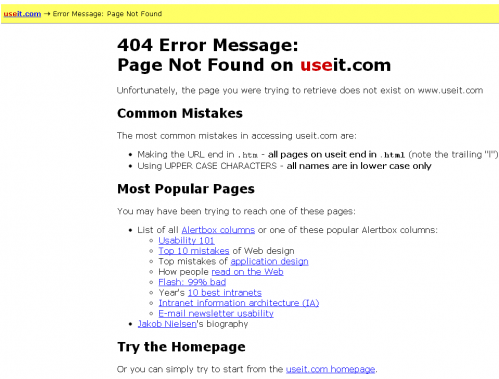 Very clever error 404 page from business process experts NextWave Performance. Great error 404 page from Pedigree. 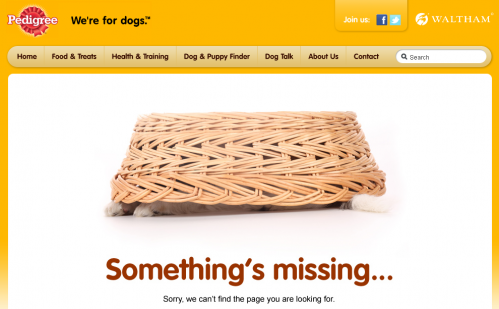 Do you think they used a real dog? 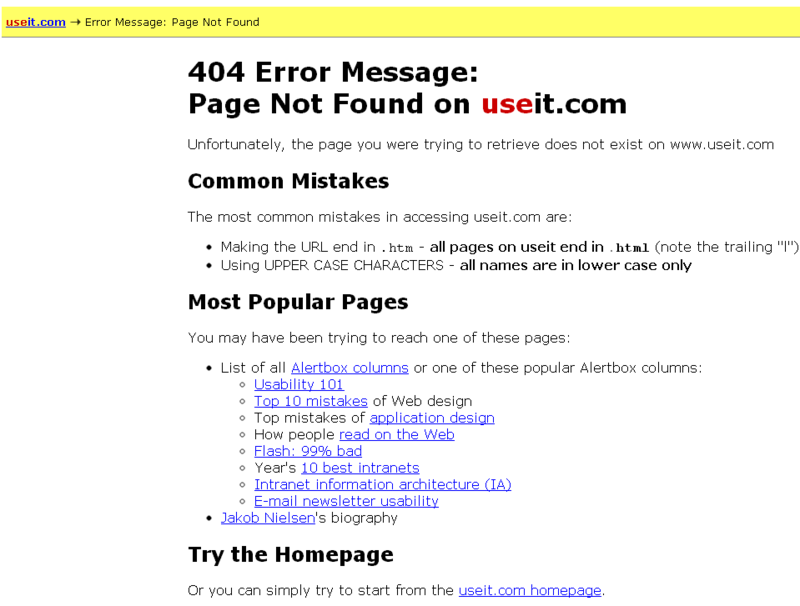 This is by no means the most creative design, but if you read the copy in red you’ll know why we voted for this error 404 page. 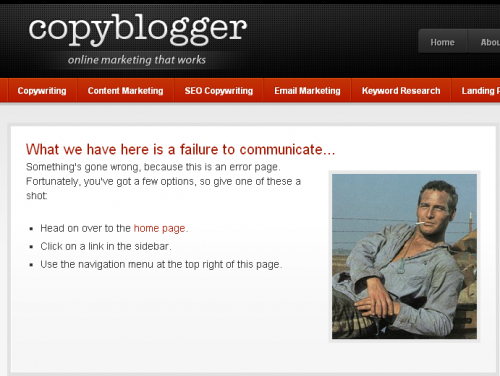 We can’t get enough of the film Cool Hand Luke, so this error 404 page is definitely in our top 40. A very Distilled affair. Definitely gets our vote. 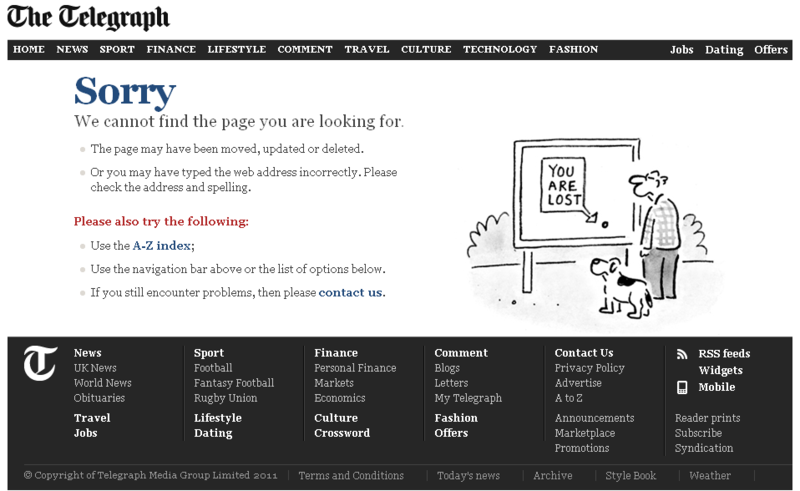 As you’d expect, The Telegraph’s error 404 page is very sensible. 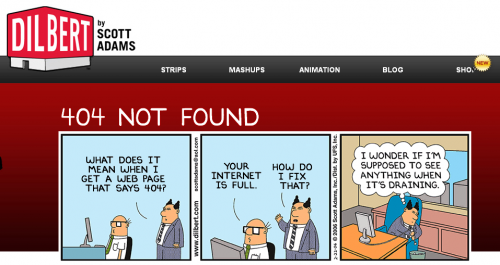 The cartoon is awesome. 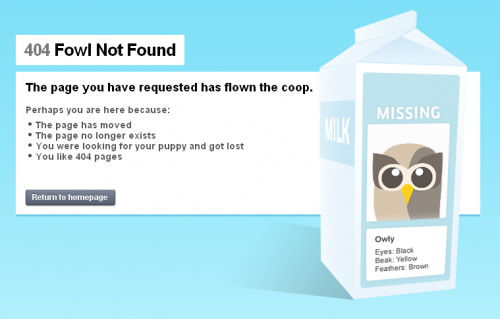 This error 404 crept into our top 40 list at the last minute. 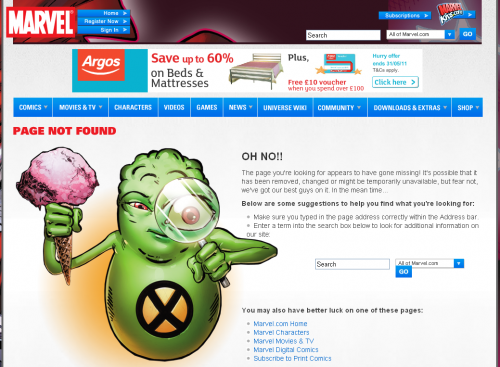 Well done Marvel. Original – yes. But is it plain wrong? Groupon never misses a trick to capture yet another subscriber’s email address. Cheeky. Great error 404 page from Cuban Council, design and branding agency from the US. 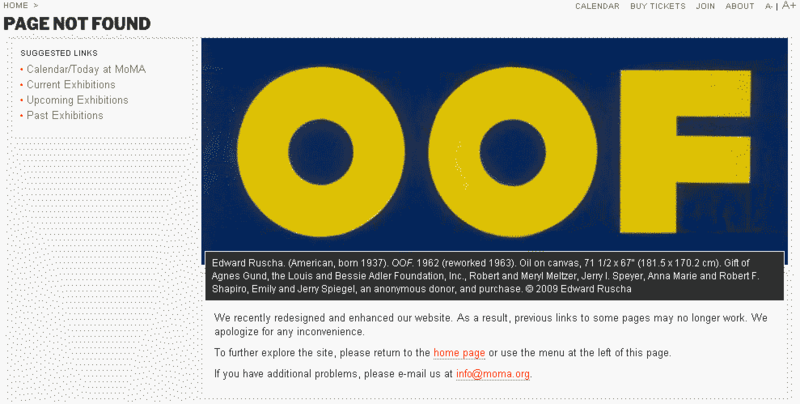 We liked MoMA’s error 404 page as they actually used a real work of art. We wondered how the artist must have felt? A very Dilbert error 404 page. Good design, great copy. We tend to go for kittens with ours. Jonathan. Wanted to share a couple other great examples. 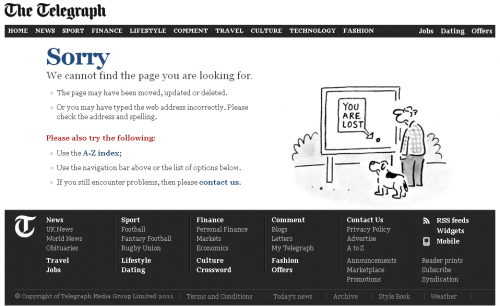 The Vasa museum in Stockholm: http://www.vasamuseet.se/404, football fail by Sporting Solutions http://www.vasamuseet.se/404, https://www.titleist.com/404 (golfers will sympathize), http://www.eharmony.com/404/ (broke our hearts). 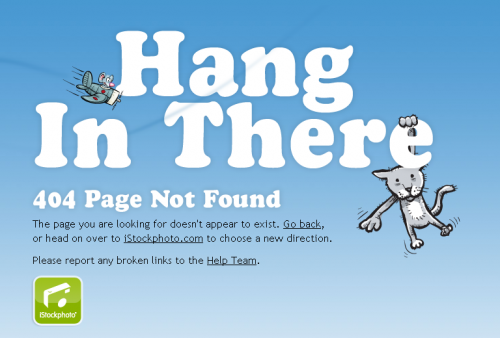 And…if I may…our own 404 is http://theinformr.com/404 and we’d love any feedback on how to make it more useful when someone does end up on a page we don’t ultimately want them to be on.